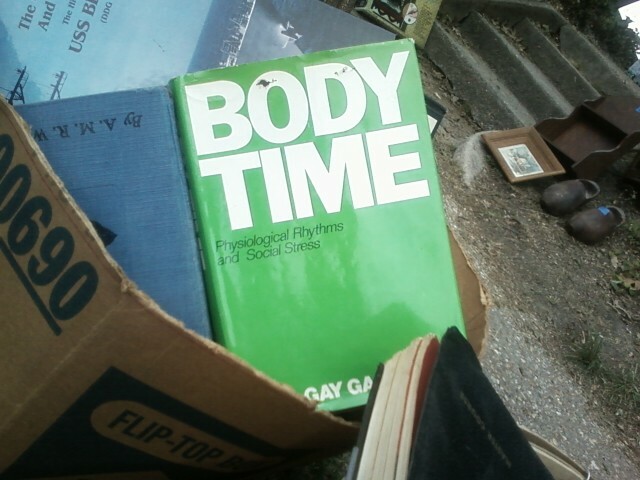 Springtime brings about of my favorite hobbies: going to yard sales. My town’s annual yard sale was this weekend, and I was able to get some pretty weird and interesting stuff. 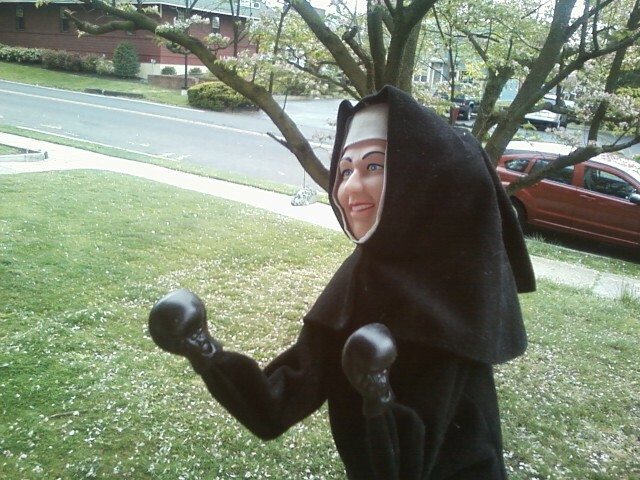 This boxing nun was for free, because the guy knew me from bar trivia, and because I couldn't find change smaller than for a five. I think I'll have her fight Lady Elaine Fairchilde. The pickings were slim for the first half of my journey, but eventually I settled down and bought this nice reference book from 1890. It doesn’t really help me now, but at least my fifth cousin (several times removed) was President of the United States at the time. About halfway through, I had to take a break, for Body Time. 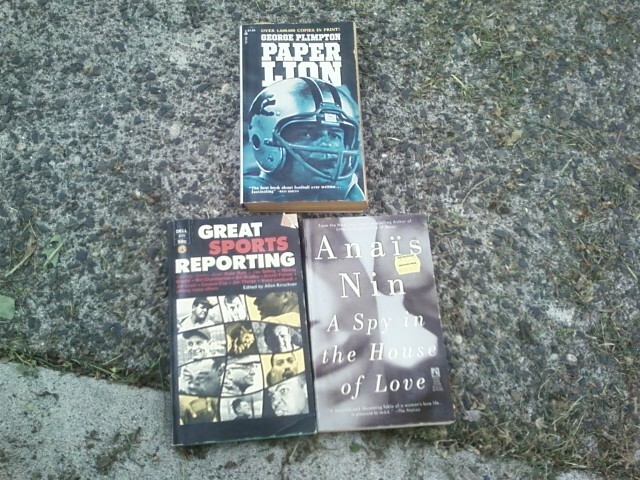 When I was finished with Body TIme, I got down to business and bought some paperbacks. One of these things was not like the other. 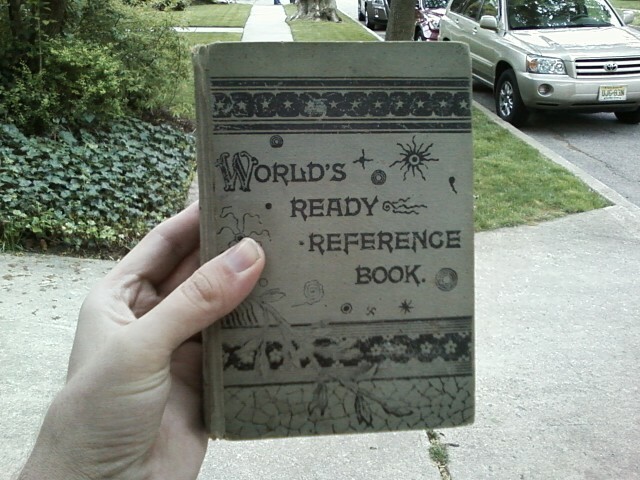 By this time, most of the yard sales were winding down, and so I had to bid the bazaar adieu. Lucky for me, a lot of what I didn’t get will be there for another favorite hobby of mine: TRASH PICKING!!! Nice! I went out this morning too, but I didn't get much. 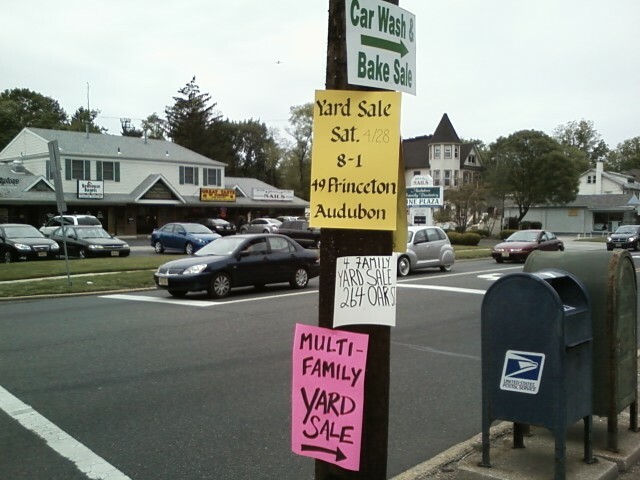 Did better last weekend at the Haddon Heights town wide sale.